Purpose: Adding an additional key fob or two is a great thing to do. This is really just a convenient luxury and really has come in handy. 1. What is a key fob? That is a good question. 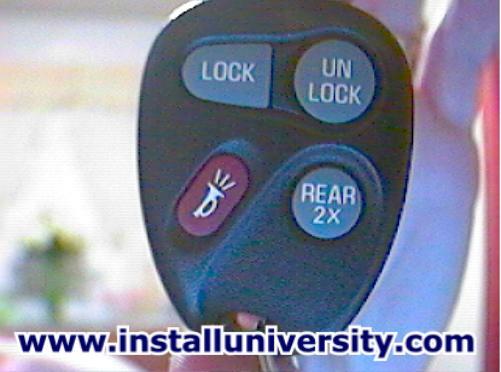 A key fob is simply the remote control that you use to lock, unlock, pop the rear hatch and activate the panic button. Here is a picture of a key fob for the LS1 F-Body cars (see Figure 1). 2. When you program a new transmitter you have to reprogram all of the programmers that you plan to use with your car. So be sure to have all of the transmitters ready for programming. You can have a maximum of four (4) transmitters programmed to your car. 3. 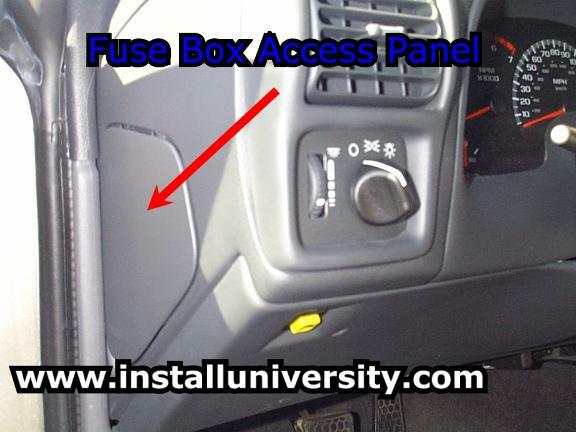 Locate the fuse box access panel between your driver's side door and dash (see red arrow in Figure 2). Simply pull the fuse box access panel off. 4. Locate the radio fuse (Fuse #17) (see blue arrow in Figure 3). You will need to pull this fuse out of its socket. 5. You will need to place your key in the ignition. You might want to disconnect the key fob. Now you will need to cycle the ignition switch from OFF to RUN three times within five (5) seconds (see Figure 4). On the third cycle leave the ignition in the Run position. 6. The door locks should lock, unlock and then the rear hatch release should activate. If this does not happen, then you need to turn the ignition to OFF and start at Step Five (5). 7. Take the first key fob and press the lock and unlock buttons at the same time (see red arrows in Figure 5). You will need to hold the buttons down for as long as 16 seconds. 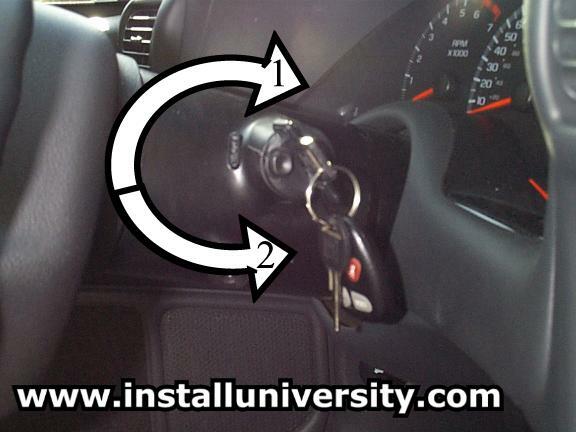 The door locks should lock, unlock and then the rear hatch release should activate. You must wait for the doors to unlock before you can proceed with the next key fob. 8. Repeat Step Seven (7) on the remaining key fobs. 9. 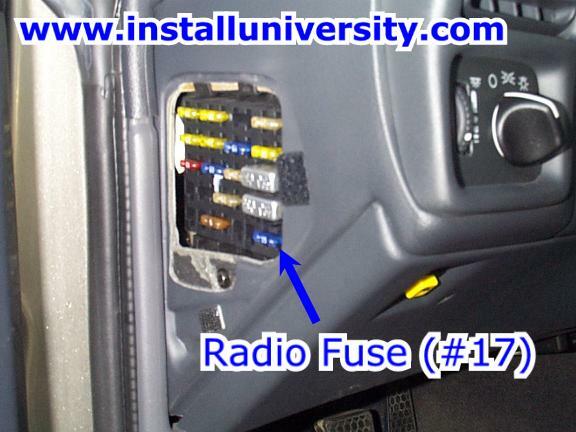 When you are finished turn your ignition to the OFF position and replace the radio fuse (#17) in the fuse box. 10. 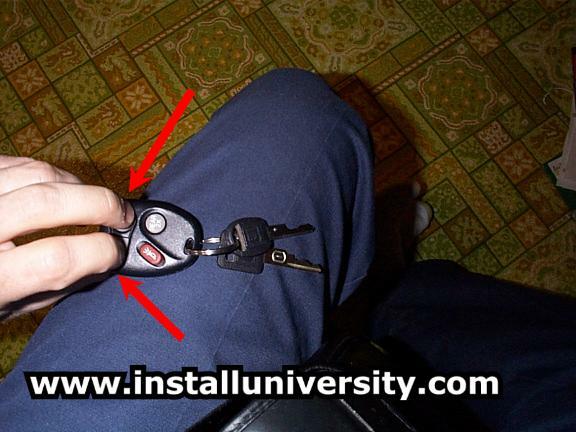 Now gather up your key fobs and stand back a few feet from your car. Test each one and make sure they are programmed correctly. If they don't work then you need to start over at Step Four (4). 11. Return the access panel to it's original position. That's it, you are done! Comments: This was just a luxury addition. We have really enjoyed using the extra key fobs.